Just back from attending and participating in the funeral of Stuart Yates. If you would have liked to be there but could not for any reason you can listen to the proceedings here. The audio file will take a few minuteso to download so please be patient. Stuart passed away early on the morning of 31st July 2012. He has been a great friend and mentor since I first met him some 20 years ago (can’t recall the date but it was sometime in 1992/3). We have since that time been jointly involved in a number of musical projects and this has been a great pleasure for me – following are some things I want to remember about him. I remember joining the Kemnay Church Music group and playing alongside him (an original member) in what was quite a large group with many different instruments and it played occassionally at Church services and other church events. The next initiative was to form what is now known as Ruach Praise with the aim to lead and accompany church worship in a more contemporary musical style. 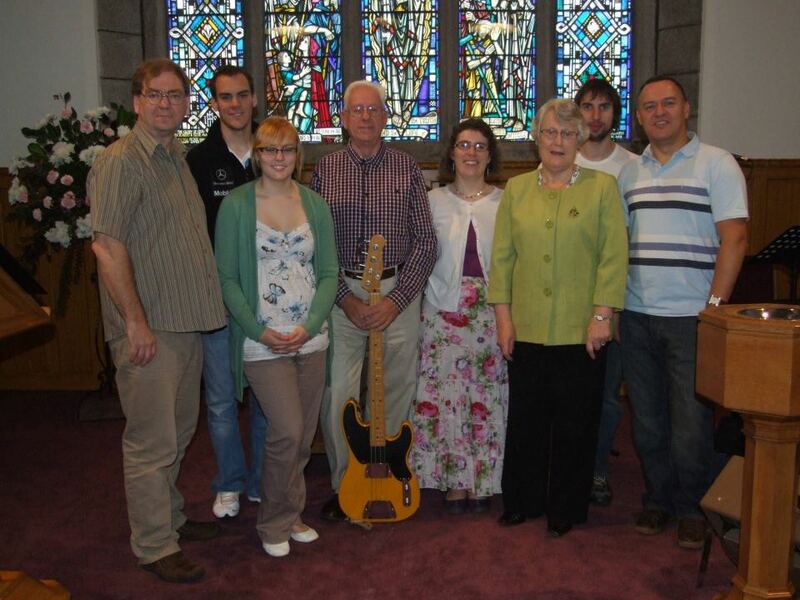 This band initially played in Kemnay Parish Church but also played in many other places around the North East of Scotland and tried to seed other similar bands at other churches. Stuart, a founder member, was always faithful and attended every practice session played with the band on every occassion. Stuart always stood at the back of the setup but was a key member of the band playing his bass guitar with skill and sensitivity. Here is the last photo of the band before Stuart passed on. The week before he went into hospital for his surgery, he attended the Friday evening band practice and played with the band at the Sunday service, we all hoped that the operation would lead to a positive end to his fight with cancer. Interestingly he never missed a practice – even when he was undergoing Chemotherapy – but I know that he endured both pain and discomfort during these times. 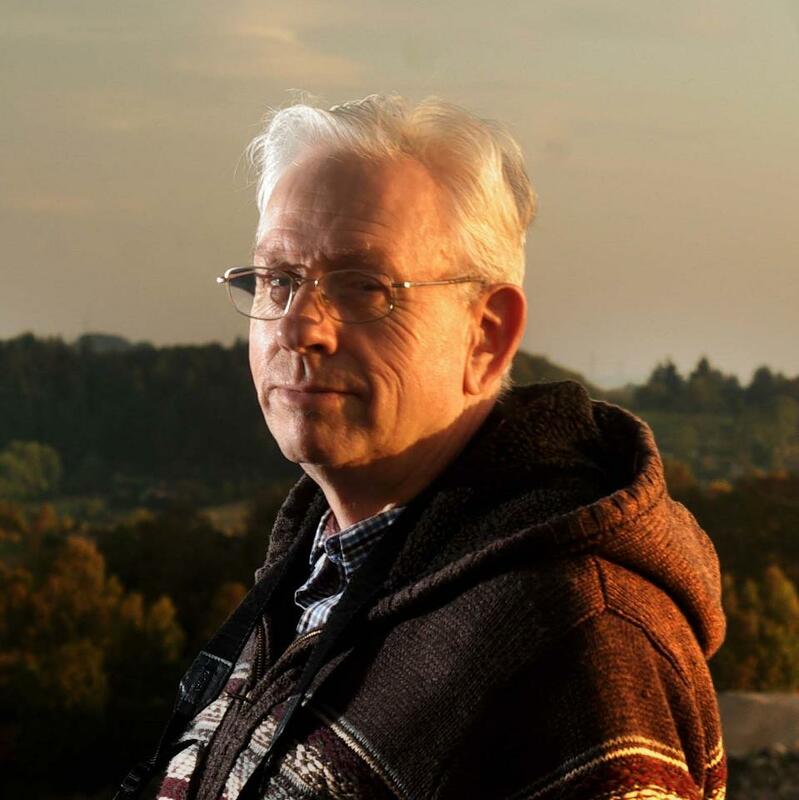 On this occassion, as we always do, we ended the session with a short time of prayer and we prayed that Stuart would know God’s comfort and healing power in the days ahead. Of course Gods will is not necessarly what we want in a situation and on this occassion the out come has been that Stuart has been taken from this world into God’s presence. As a friend said to me – “Gods timing is always perfect” although we might not fully appreciate his reasoning at the time. The post-surgery complications (of which Stuart was very well aware of when he decided to opt for surgery) were too much for his body to overcome. As far as we know he was never was able to regain full conciousness. We will miss Stuart greatly when the band participates in any events in the future. But we know that he was fully committed to what we do and believe that he would want us to continue without him – however difficult that might be. Ruach Praise has had a large number of members over the years with many moving on to other stages in their lives – leaving the area, attending University etc…… but Stuart is the first to have left the band in this way. On the day he went into hospital he stopped by the house to say “bye” – I said we would be keeping him in our prayers and look forward to seeing him after the operation when he would be feeling better. It seems that this reunion will take place a little further into the future than I hoped/expected as we have a Christian hope of a great reunion still to come.